This HD-ready telly excels with Freeview HD and Blu-ray sources, but struggles with standard definition. Contrast and colour are exceptional, while the brilliant My Home Screen and its apps help make this a good value option for a second room. Is this 32-inch HD-ready TV worth the upgrade? 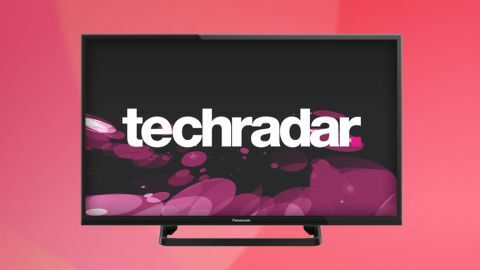 With a list price of £399 but spotted online for £309 already, this brand new effort looks almost identical to Panasonic's TX-32A400, which also includes a Freeview HD tuner. However, there are big differences between the TX-32AS500 and the lower-ranking TX-32A400. Aesthetically they're similar and both have the super-slim 7mm bezel, but the 727x465x67mm TX-32AS500 has a cut-out desktop stand and a much larger remote. The biggest difference, however, is the operating system. The TX-32AS500 uses Panasonic's latest and greatest smart TV platform, My Home Screen. This combines apps with a uniquely flexible architecture that puts everything you're ever going to want within easy reach. At the heart of this HD-ready screen is an IPS panel, which tends to widen viewing angles and deepen black levels, at least to a basic extent. Behind it are plenty of ins and outs, though the TX-32AS500's provision of just two HDMI slots will be a slight worry for those with a Sky/Virgin set-top box, a games console and a Blu-ray player. The two HDMIs on the rear of the TV are accompanied by a full RGB scart, a set of component video inputs, left/right stereo phonos, an RF aerial feed to fuel the built-in Freeview HD tuner, and a digital optical audio for taking sound to an AV amplifier. There's also an Ethernet LAN slot nearby, though the TX-32AS500 also comes with Wi-Fi. A side-panel adds a headphones jack, a USB slot and a Common Interface slot. While some brands offer TVs that include a taster of smart TV, Panasonic goes straight for the jugular with a fully featured set of apps and smart stuff that represents almost the brand's pinnacle (minus Freetime). It all revolves around the exceptionally versatile My Home Screen user interface, which is the only smart TV platform around that's fully customisable. Accessed by a double-tap of the remote's home button is a carousel of alternative My Home Screens – TV home screen (which has a a scrollable TV channel list along the right-hand side as well as shortcuts to My Home Cloud and the media player), lifestyle screen (which adds a number of utility features such as notes, a clock and shortcuts to a few apps), and info screen (which prioritises bookmarks to up to four web pages). All of these layouts can be customised and set-up in minutes, and easily accessed later, as well as being pushed to full-screen TV simply by moving to the live TV window and pressing the OK button. Panasonic's choice of apps isn't as comprehensive as on other platforms. A dedicated apps button on the remote control leads to a grid of icons that includes Netflix, BBC iPlayer, BBC News, BBC Sport, YouTube, Wuaki.tv, Meteonews TV. A second screen reveals further shortcuts to Eurosport Player, CNBC Real-Time, Aupeo radio, Skype, Euronews, Facebook, Twitter and AccuWeather.com. Under a banner of unwanted adverts on the apps page are shortcuts to Panasonic's apps market, its shopping pages, media player (content on a USB stick), media server (networked laptops, computers and NAS drives) and a web browser. That same page also includes a string of shortcuts along the bottom to screen mirroring (from Android phones), photo frame, calendar, event timer, video message, cloud note and notes, which is probably three unneeded utility features too many. Elsewhere in the AS500 series is the 24-inch TX-24AS500, which also boasts a HD-ready screen. However, the 42-inch TX-42AS500 and 50-inch TX-50AS500 are both built around Full HD IPS panels. The real alternative to the TX-32AS500 from within Panasonic's stable is the 32-inch TX-32A400, though it possesses a less capable panel that's prone to some motion blurring, and lacks both apps and My Home Screen.